Dandara was originally released with Linux support back in February of last year. Sadly, I never got a response to my request for a key to take a look at it. Thankfully, Humble Store sent me a copy of their recent Humble Monthly and Dandara was one of the included games. INNOVATIVE CONTROLS - Built natively for both touchscreen and gamepad input, movement and combat interact smoothly and seamlessly. BOUNDLESS EXPLORATION - Traverse across the esoteric world of Salt through fast and fluid jumps off any surface, unhindered by gravity, in lovingly crafted environments. CHALLENGING PROGRESSION - Use a combination of speed & skill, wits & reflexes, to solve puzzles, earn powerups, and access areas previously unreachable. BEAUTIFUL AND IMMERSIVE WORLD - A visual and auditory wonderland comes to life through gorgeous handcrafted pixel art and original soundtrack compositions. Don't let the fact that it was notably built for touchscreens and gamepads in mind steer you away from it, as it doesn't feel like a mobile game in any way. In fact, it managed to pull attention instantly in a way that not many games are actually able to. 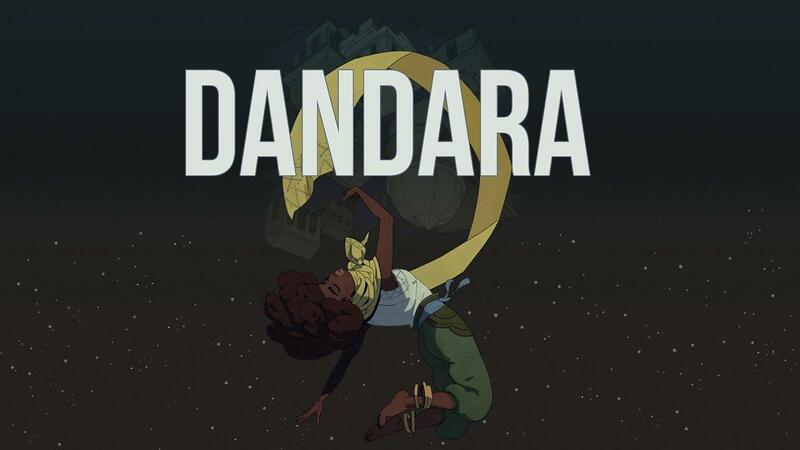 If you want a game to hold your hand, Dandara is firmly not for you. I've gotten lost a few times already but thanks to how insanely good the movement system feels and how fast you can zip around it's not much of a bother. When you mix in the combat system with the movement, it becomes even more interesting. Your main weapon needs a brief moment of charging, so you might find yourself in a bit of a tight spot having to jump to another platform. It's certainly kept me on my toes plenty of times. There's sections where you're leaping from one rotating platform to another, while being shot at and I thought that was quite exciting. While I think it's actually a very surprising game and I've enjoyed it a lot, sadly the Linux version has been left behind and as far as I can tell hasn't seen a single patch since release which is a shame. Hopefully they will have a turnaround like the SUPERHOT team did recently. I've emailed them, so hopefully they will sort it out. Updates aside, it's a really fun game. The Steam Controller worked perfectly and I've had a really great time exploring the world in Dandara. Thanks to the unique movement mechanic, it's really different to anything else. You can grab a copy from Humble Store and Steam. It worked perfect out of the box for me too, and it was really cool with the zipping yeah! And I love how it doesent put any lore into your face and overexplains things, it just is the way it is and you have to deduce things from environment etc. nice storytelling. Great game, but be warned that the native Linux version has never received the patches pushed to the Windows version. There are some potentially game-breaking bugs, no settings menu, missing graphical enhancements, and more. If you own this game please submit a report about the Linux version's missing patches here at the publisher's bug reporting page. For now, I'm playing the updated version in Proton. Kon Great game, but be warned that the native Linux version has never received the patches pushed to the Windows version. This is already clearly noted in the article FYI. buenaventura It worked perfect out of the box for me too, and it was really cool with the zipping yeah! And I love how it doesent put any lore into your face and overexplains things, it just is the way it is and you have to deduce things from environment etc. nice storytelling. I was wondering how the storytelling was. Have had my eye on this one for a little while now. I got it in the monthly that I bought because of Mutant Year Zero, but it's not my cup of tea. I'll trade it for something else.